A last reflection image for a while. 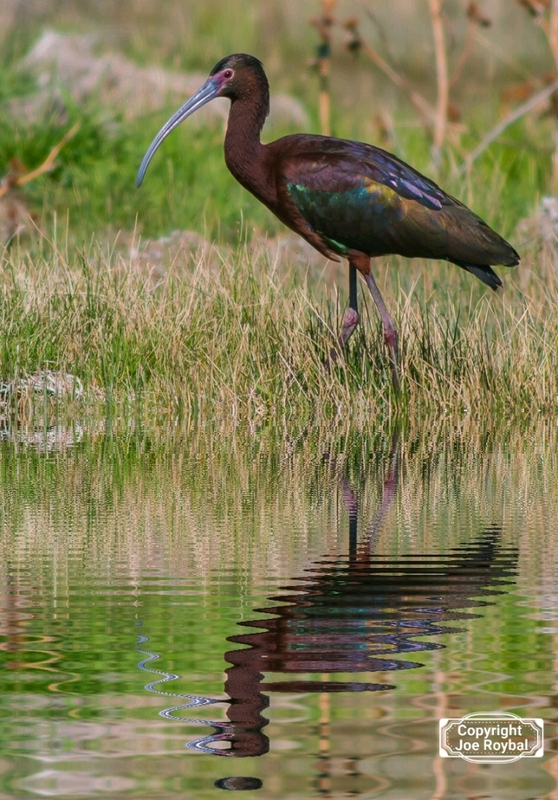 This White-faced Ibis was photographed at Bosque in 2009. Nikon D200, 500f4+1.4TC, f4@1/1000 sec., water and reflection added in Samsung s8 phone. Joe, the color of the Ibis is subtle but striking, and the pose you captured here is ideal. The water and reflection are a treat, but this Ibis could easily stand alone on its own merits. A fine image of this striking species to begin with, showing the colours and iridescence on the plumage. The 'water' and reflection enhances what is already there - and all in a phone - I still celebrate moving on from film to digital!!! Not a bird I associate with Bosque, but then I have never been there when the grass is green! I'm lucky if I can remember how to unlock my cellphone. Very cool image, love the reflection, especially the beak portion. This reflection works much better than the last- IMHO. . A beautiful photo of the Ibis as well-really a fine image. So interesting what a cell phone can do- did you enhance the reflection beyond the cell phone alteration? I can see how cell phones are competing with small cameras these days, for better of for worse, I don't know. So interesting what a cell phone can do- did you enhance the reflection beyond the cell phone alteration? Thanks for your comments, Cindy. No additional enhancements were done. It’s basically a one touch alteration. BTW, the app is called Water Reflection.